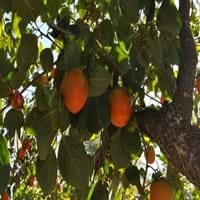 American Persimmon nutrition facts play a vital role in determining its nutritional value. Generally, all fruits are nutritious as they are rich source of essential micro-nutrients and macro-nutrients required for human body. But the nutrient content of some fruits is more than the others which makes them the ideal choice for health diet and other purposes. Keep reading to get the information about American Persimmon nutrition facts like carbs in American Persimmon, potassium, vitamins, etc. 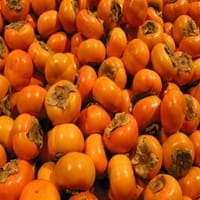 Amount of Carbs in American Persimmon play an important role in American Persimmon nutrition. 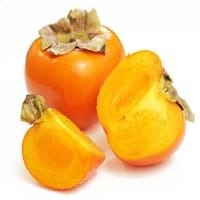 For a serving size of 100 g, the amount of carbs present in American Persimmon are 33.50 g.The amount of sugar present in 100 g of American Persimmon is Not Available and this fruit belongs to Autumn Fruits. Carbohydrates provide us the energy for our daily activities and also prevent diseases by maintaining the cholesterol level. The fiber content of American Persimmon is Not Available. Fiber doesn't get digested by our body but passes intact through the intestinal tract and helps remove the waste out of our body.